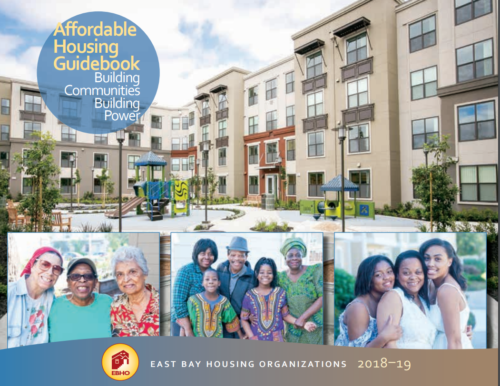 Since 1997, EBHO has published the Affordable Housing Guidebook, a resource for advocates, developers, policymakers, people seeking housing, and anyone looking to learn more about affordable housing in the East Bay. 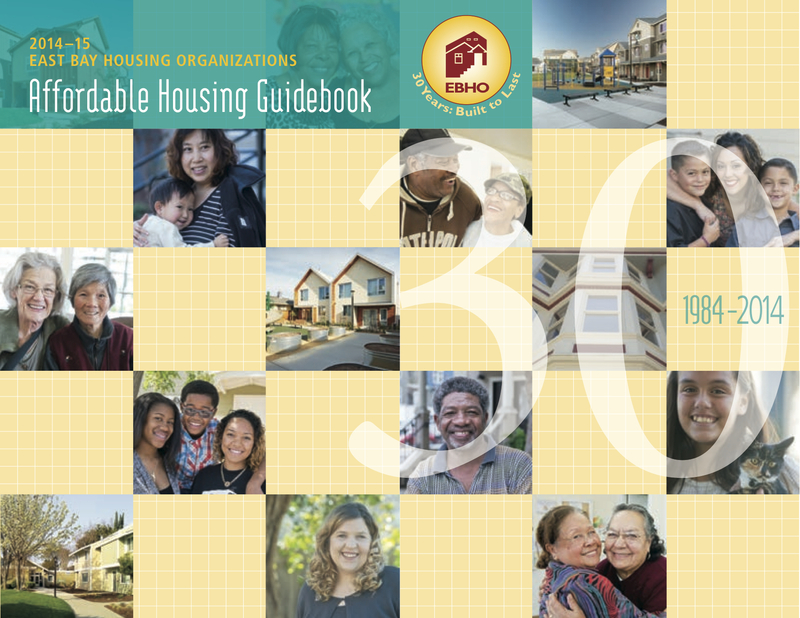 This 48-page publication features the contributions of our members as authors and sponsors, and tells the stories of who lives in affordable housing. 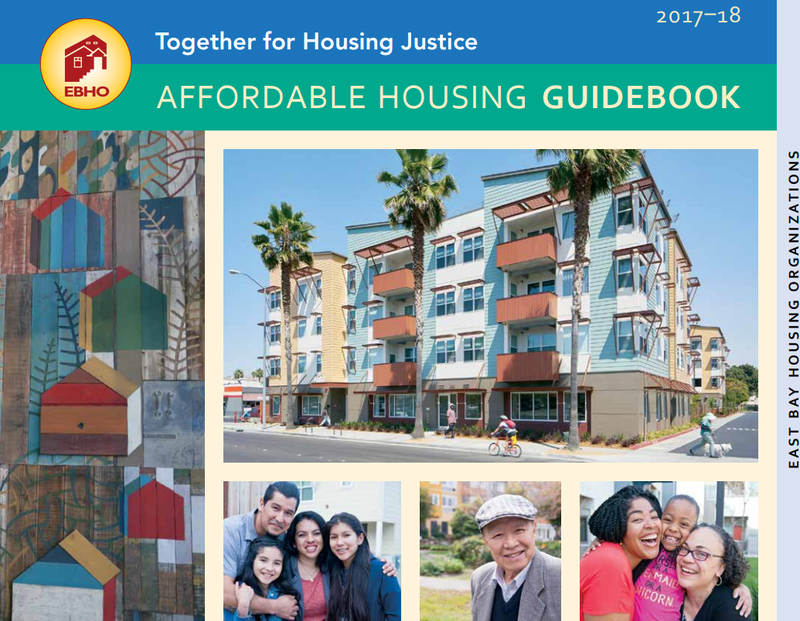 The 2018-19 Affordable Housing Guidebook is now available! Click below to download, or contact Ronald Flannery at 510-663-3830 ext. 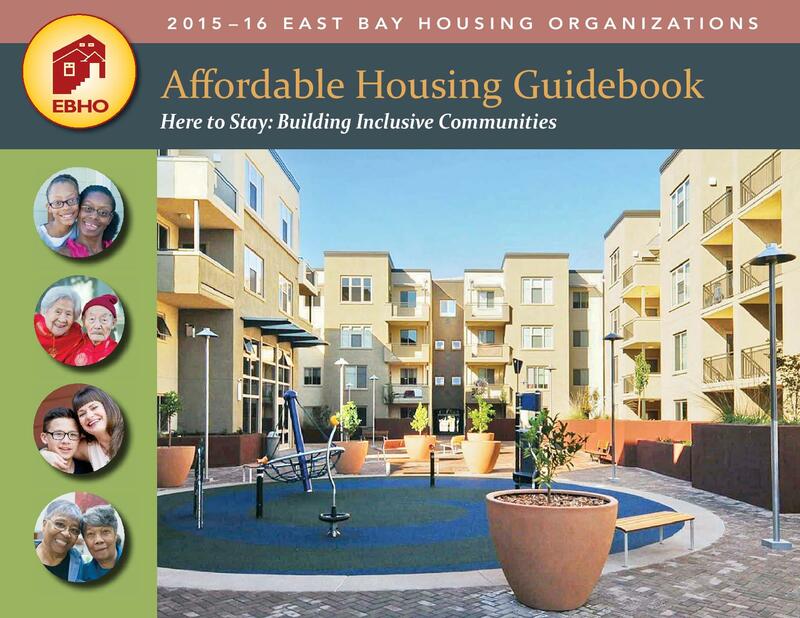 323 or ronald@ebho.org to request a physical copy. 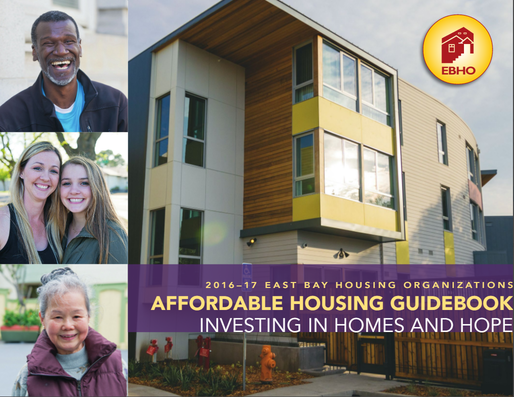 You can also download our new Resource Brochure in English, Spanish, or Chinese, which provides the tips and housing developer listings from our Guidebook in an easy-to-use format. 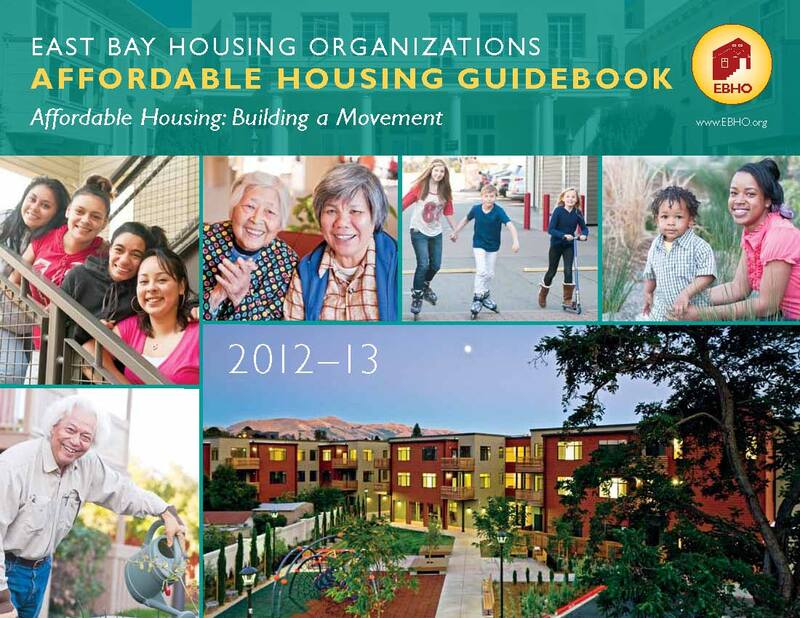 The 2012-2013 Guidebook was released on May 11, 2012 at our Affordable Housing Week Kick-Off Celebration! 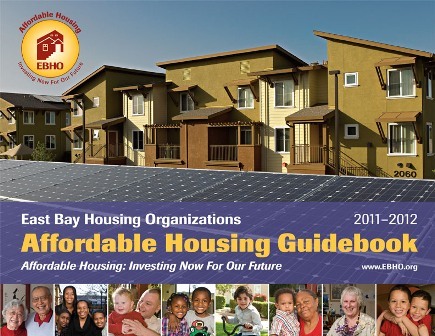 Download a copy below, or see Affordable Housing Guidebooks from 2011-2012 and 2010-2011. 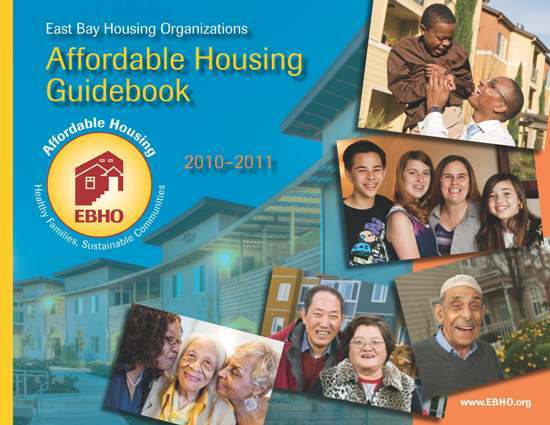 For back issues of the Guidebook (1997-2009), please contact Gloria Bruce at gloria@ebho.org. Download sections of the 2012-2013 guidebook by clicking the links below.